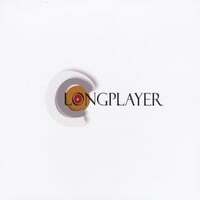 Longplayer-Longplayer. Attention ELO fans: The self-titled debut from the Swedish band Longplayer might be the closest thing to a new ELO album since Bleu's LEO project five years ago. Like LEO, the songs here represent different styles and phases of ELO's sound: "Won't Let You Down" channels ELO's latter-day rockabilly sound a la "Hold on Tight"; "The Messenger" has a little of "Don't Bring Me Down" in it; "Silicone Sue" has their mid-period (New World Record/Out of the Blue) feel; and "Cool Cat Walk" might be a gender-reversed "Evil Woman". While not the classic that Alpacas Orgling was, this is still a lot of fun and a must for fans of Jeff Lynne & Co. Your Gracious Host-Sleepers Awaken. Tom Curless is back with his third disc in a little over two years as Your Gracious Host, serving up more of the indie-flavored power pop we got on the first two discs. The standouts this time around are the Posies-esque "Decision Tonight", the dreamy midtempo "Episode in Contrast", "Surrender Me", which has a Well Wishers/Spinning Jennies vibe, and the Teenage Fanclub-influenced "Reach the Shore". Let's not keep this one a "sleeper". Thanks for the tip on Longplayer - I'm getting tired of reviews that compare records to ELO when they don't really sound like ELO, but your review is spot on! On first listen I also hear a bit of the Nines. Fantastic blog, by the way, you've turned me on to several great records recently. Thanks! EP of the Day, 2/18/11: Derby-Madeline.